Today at the joint Cocker Club’s All Breed Open show in Dublin the team did us proud. Our baby Pointer Tara enjoyed her day out wining Best Baby Puppy in Breed and later showed herself off to 4th Best Baby Puppy in Show. 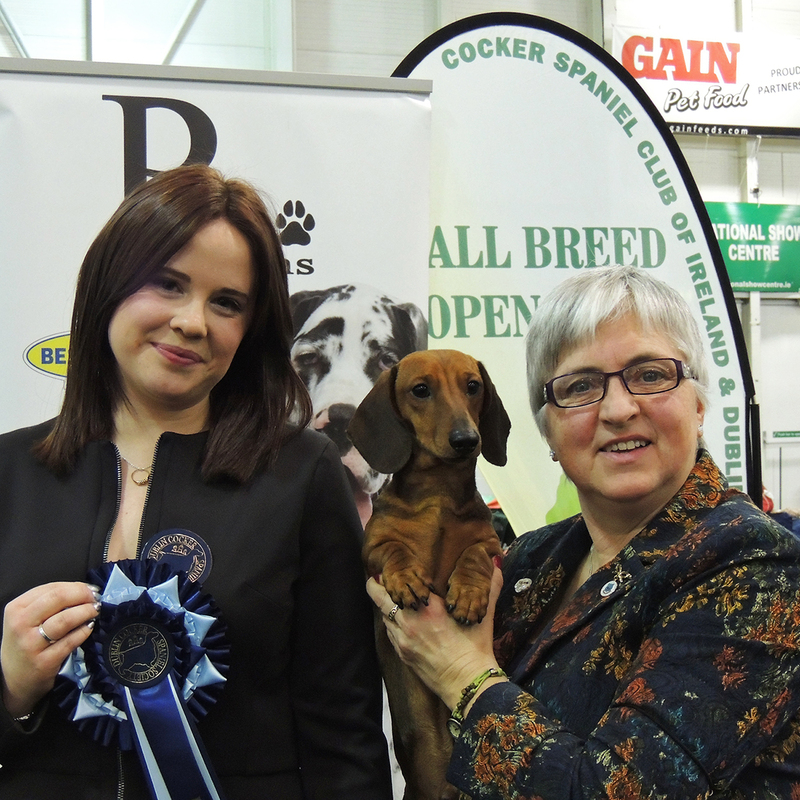 George took Best of Breed in Mini Smooth Dachshunds and then won the Group. Later in the day in the big ring he was judge Cliona Beattie’s choice for Reserve Best in Show. Couldn’t be more proud of these youngsters.